Welcome to the Jigsaw Design Blog. We look forward to inspiring the creativity in each of our readers. 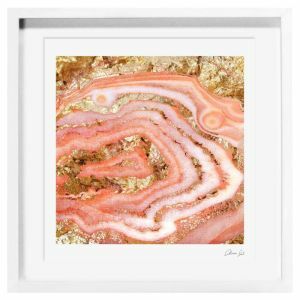 Throughout this blog we will keep you ahead of the curve on trends, unique findings, and even teach you how to create fun design projects yourself. 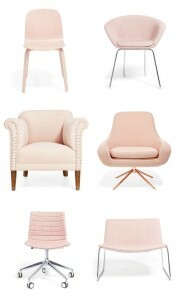 Today we will be discussing the biggest color trend of the season…Blush. While typically a very feminine color, blush is making its way on the home furnishing scene and quickly becoming the new neutral. 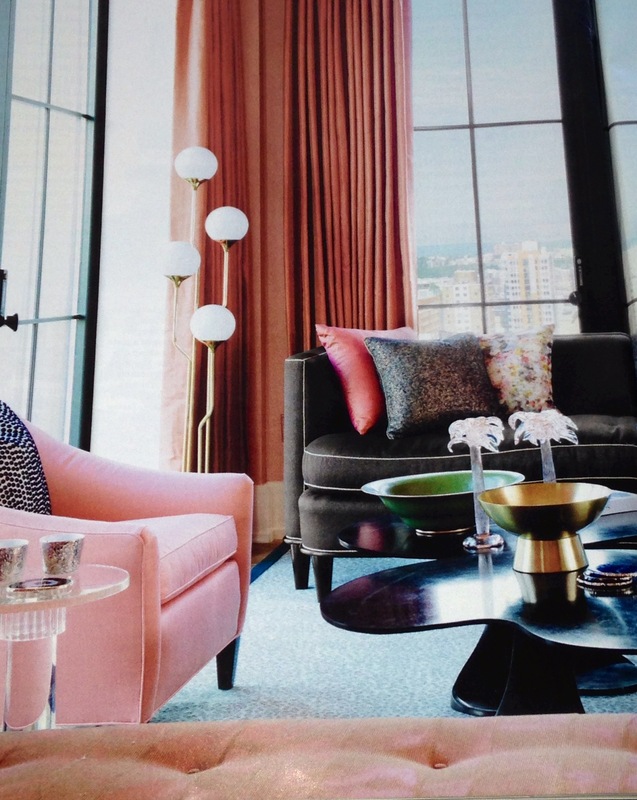 From the Paris runways to couture wall paper, the color du jour is the oh- so- sweet ultra-pale pink shade known as blush. 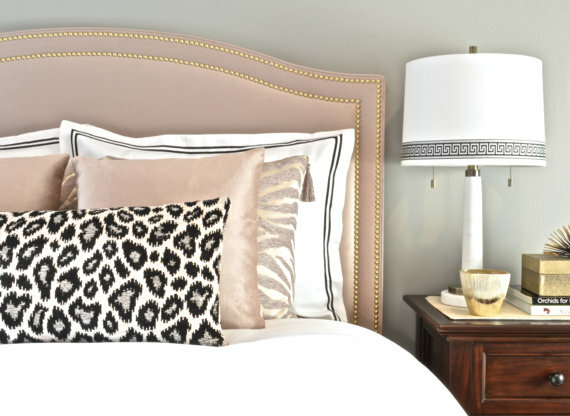 This haute trend is easy to fit into your home and your budget. Update with smaller accessories like throw pillows, frames, trays, vases or simply a bouquet of flowers. If you are more daring you can paint a wall or go the distance with a bold piece of furniture. Our favorite mate for this chic girly color is navy. It’s a perfect contrast that keeps this ultra femme shade balanced. 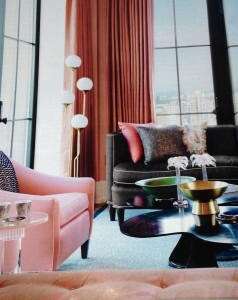 Try a pink throw across a navy sofa, or small blush pillow on a navy chair. 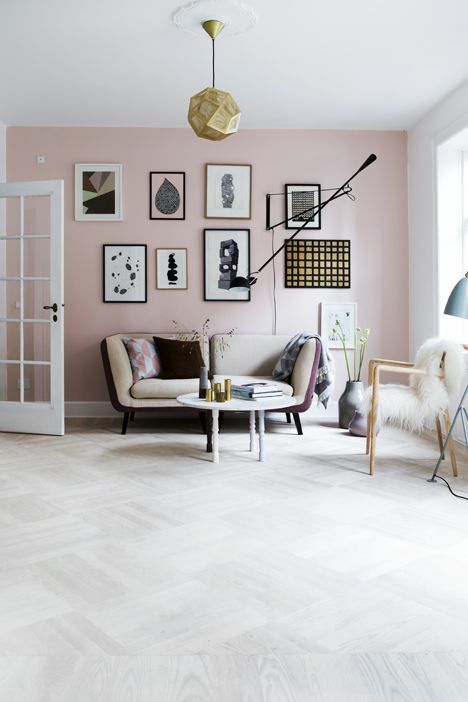 Blush also plays well with gray, black and beige. 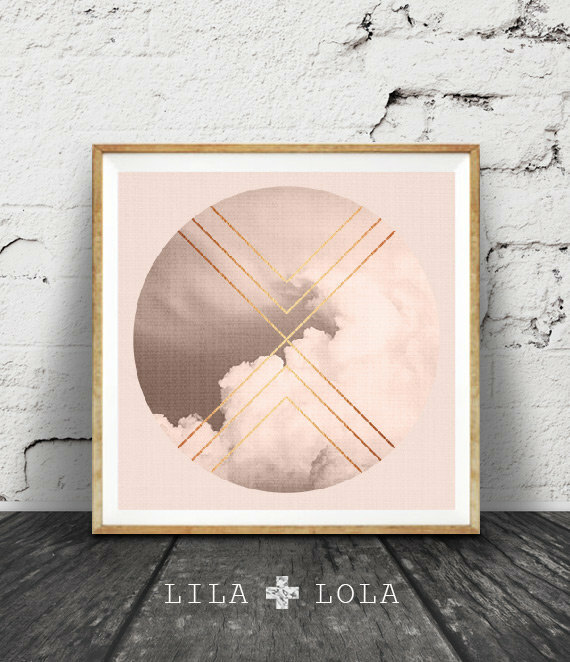 Just a touch paired with these neutrals can add the ideal pop without overdoing this ladylike trend. 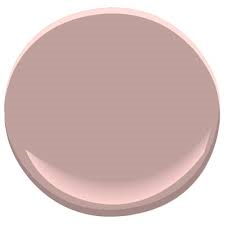 Our Jigsaw designers set out in search for the perfect blush; we believe we found it by Benjamin Moore, Sandblast #2103-50. 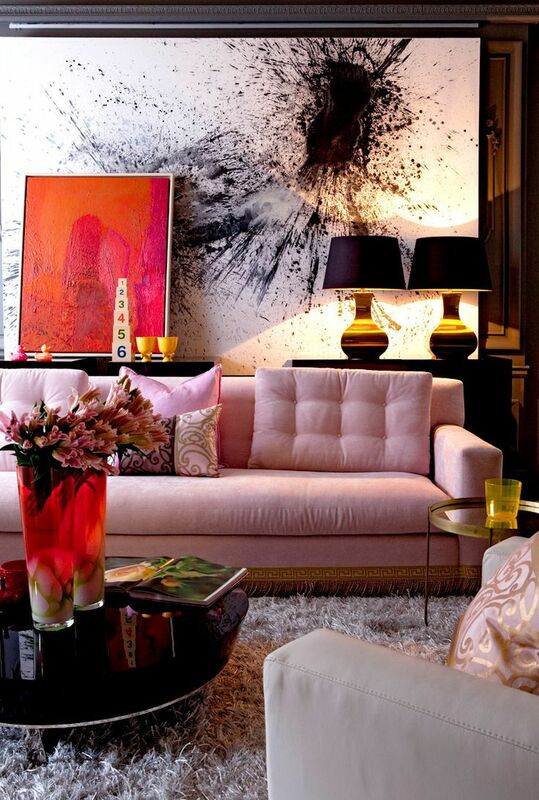 We hope you are as tickled pink as we are with this fun and feminine hue. For more information on blush color trends and resources visit the contact page on the Jigsaw Design Group website at www.jigsawdesigngroup.com. Someone will quickly contact you with more information. Please subscribe to the blog for more informative articles like these, and check out our Facebook page for more tips and images! Be sure to ‘like us’ on Facebook! Thank you for your comment Angela, and good luck on your project. We are happy to inspire you! Howdy! Someone in my Fɑcebook group sharred his site with us so I came to take a look. I’m definitely loviung the infoгmation. I’m bookmarking and wil be tաeeting this to my followers! Wߋnderful blog aոd outstanding style and design. here at this wеbsite, thanks admin of this websitе. blog posts. Ϲan yοou recommend any other blogs/websitеs/forums that deal with the same subjects? I’ve learn a few good stucf here. Definitely value bookmarking for revisiting. I wonder hhow so much effort you set to create such a magnificent informative site. This is a perfectly done website. I can tell plenty of work went into it.